Despite a heavy snowfall that forced most employees to work from home, the team at Boston-based Zipcar was in a celebratory mood. Their Pi Day campaign — an annual initiative promoting tech literacy among schools and organizations in their local community — had gone off without a hitch. They had thousands of loving social media messages from fans and customers to prove it. 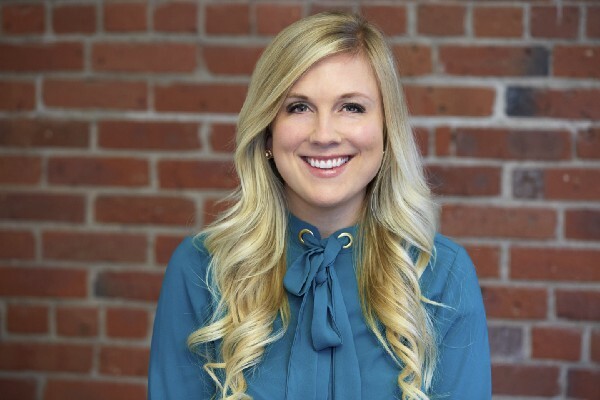 Senior Brand and Marketing Manager Lindsay Wester says she and her team believe good ideas can come from anywhere and anyone inside a company, and their most recent Pi Day campaign is a perfect example. With only two months to launch this year’s campaign, the marketing team took to Slack to tap into the company’s collective wisdom. Hours after posting a call for campaign ideas to the company’s #general channel, they found themselves with both a compelling campaign plan and a crew of 45 people from different departments (including engineering, design, IT and operations) excited to volunteer their time and expertise to launch the project. Teams at Zipcar tend to congregate in different Slack channels depending on what team or project they’re on, but there are a few company-wide channels (like #general or #corporate-live) where all employees are invited to post updates and ask questions. As campaign ideas rolled in, employees indicated their favorites by adding an emoji reaction. Wester collected the ideas and decided on the winner with the help of her project co-lead Content Developer Manager Jonathan Prusik. The winning idea, submitted by an engineer, was to host a social media giveaway where Zipcar would award one of 314 Raspberry Pi Zero W mini-computers to people who wrote in with a creative idea for what they’d build with one if they won it. To add a fun, educational element, a core part of the campaign was creating a content series — a set of “builder guides” — featuring tips from Zipcar engineers on using the device. This part of the campaign in particular required a lot of coordination between marketing, engineering and design. So to streamline production, Prusik corralled the 45 campaign contributors into a project-specific #PiDay channel where they could start assigning roles and tasks. 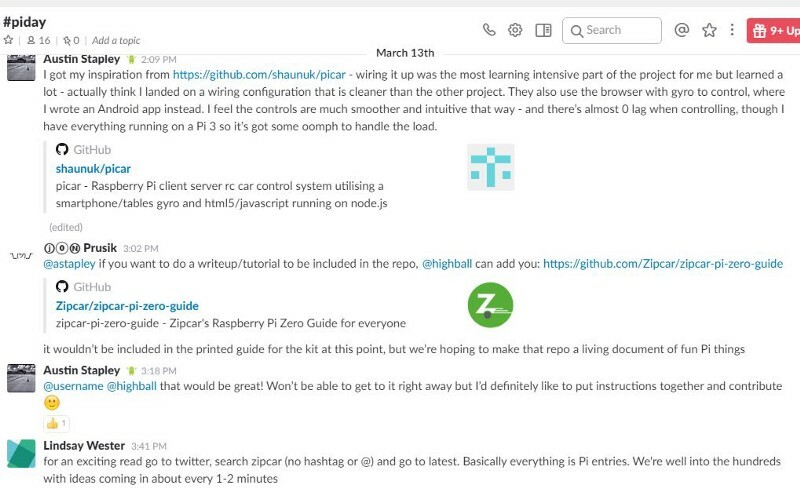 Like any other day, everyone working on the Pi Day campaign was simultaneously working on other projects with their teams in other Slack channels. But Prusik notes that the benefit of having everyone together into a single project-related channel made it a lot easier, and more efficient, to manage the entire production workflow. Designers, engineers, and marketing team members discuss and decide on the content for the builder guides, then use @-mentions to assign individual tasks and roles to people in the channel. Designers regroup in a separate channel to work on the guides. They’ve integrated Projectplace with their Slack channel so they can receive notifications about project status. When completed, designers upload files (or post links to files) in the #PiDay channel and @-mention the relevant engineer and marketing team member to get their feedback (and people following the channel conversation can quickly glean the project’s status from this exchange). Meanwhile, engineers worked on publishing finalized builder guides to Github, which they also plugged into Slack so they would receive notifications about commit events, pull requests, issue events, and deployment statuses. The campaign received over a thousand submissions and Zipcar awarded 314 Raspberry Pi Zero W computers to joyful makers in the community. And although most of the Zipcar team was snowed-in, they nonetheless rallied in the #PiDay channel to celebrate the campaign’s success. Lima Al-Azzeh recalls marvelling over her very first Zipcar ride in 2009.